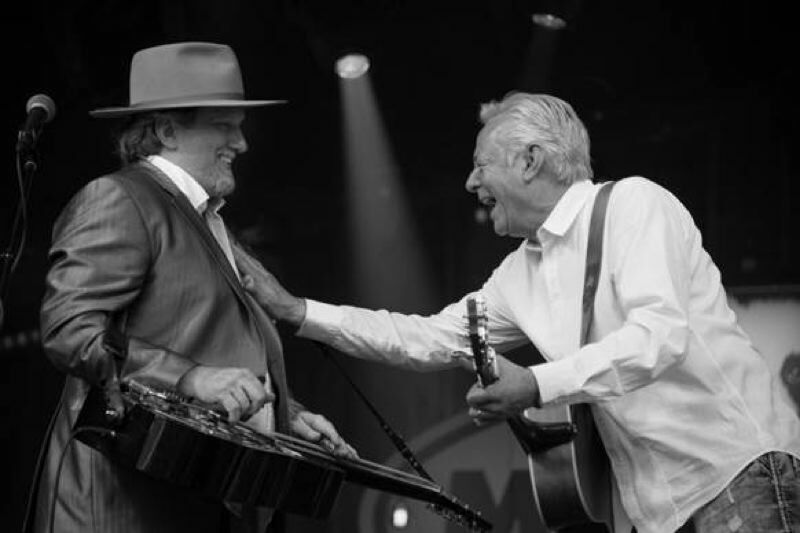 • The second night of shows is sold out, but tickets remain for the 8 p.m. Thursday, Dec. 6, show with Tommy Emmanuel and special guest Jerry Douglas at the Aladdin Theater, 3017 S.E. Milwaukie Ave. Tickets: $39.50-$45, www.aladdin-theater.com. • Electronic music act VNV Nation and creative force Ronan Harris has hit the road following the release of their 10th album, "Noire." See them perform at 7:30 p.m. Saturday, Dec. 8, at the Roseland Theater, 8 N.W. Sixth Ave. Tickets: $25, www.roselandpdx.com. • Zepparella, the all-female Led Zeppelin tribute act, plays at 8 p.m. Saturday, Dec. 8, at Dante's, 350 W. Burnside St. Tickets: $18.50, www.danteslive.com. • Alice Merton plays the Crystal Ballroom, 1332 W. Burnside St., 8 p.m. Saturday, Dec. 8. Tickets: $23.50, www.crystalballroompdx.com. • Robin Jackson and the Caravan will team up with longtime collaborator Kathryn Claire, along with Allen Hunter, 9 p.m. Sunday, Dec. 9, at Mississippi Pizza Pub, 3552 N. Mississippi Ave. Tickets: $12, www.mississippipizza.com. Jackson and Claire formed their musical connection at age 7 through playing the Suzuki violin. They've performed together in high school musicals, open mics in college and professionally; they each tour internationally with their own projects. • Fear No Music presents "All of the Future: In Celebration of Children," 7:30 p.m. Monday, Dec. 10, at The Old Church, 1422 S.W. 11th Ave. It's a concert that tackles youth issues, including gun violence, homophobia, migration, suicide and grief. For more: www.fearnomusic.org. • Joined by a horn, string and choir section, along with her own four-piece band, Megan Diana presents an orchestral realization of her album "Women in My Head," 8 p.m. Tuesday, Dec. 11, at the Alberta Rose Theatre, 3000 N.E. Alberta St. Tickets: $12, $15 at door, www.albertarosetheatre.com. Diana was helped by a Regional Arts & Culture Council grant for the project. Haley Johnsen opens. n Judas Priest has a new album, "Firepower," which has landed in the top 5 charts in 17 countries. The band has announced a North American tour, which will include a stop at the Moda Center on June 22. Tickets go on sale at 10 a.m. Friday, Dec. 7, at www.LiveNation.com. A lot of shows sell out. We'll occasionally try to alert you to certain events that don't have tickets for sale anymore, which would allow you to ask — bother? — friends to take you. Or evaluate the secondary market. Rosanne Cash plays Revolution Hall, Saturday, Dec. 8. It's sold out.